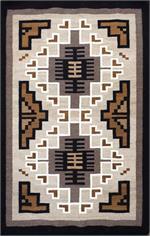 Navajo weaver Zerena Begay has created this lovely Two Grey Hills weaving using gorgeous wool. 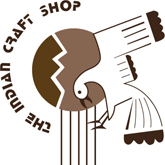 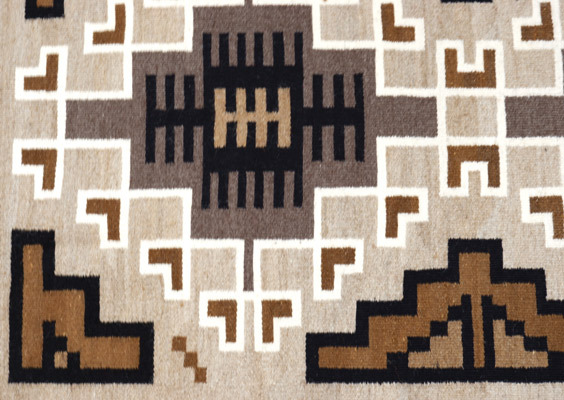 Named for a trading post on the Navajo Reservation in New Mexico, the Two Grey Hills style of Navajo weaving is considered by many as a classic. 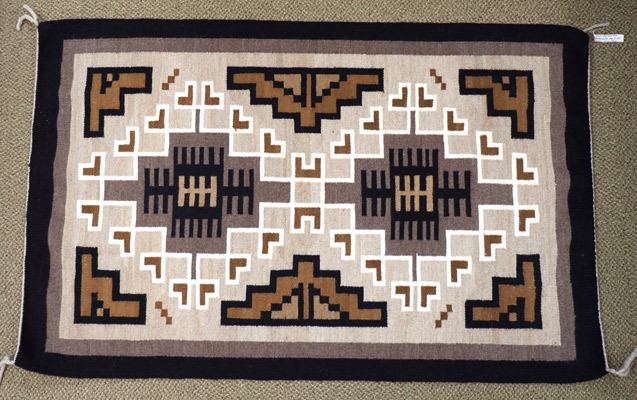 Weavers from that area used wool in its natural colors -- white, black, and brown, with greys and tans obtained by carding the black or brown wool with white. 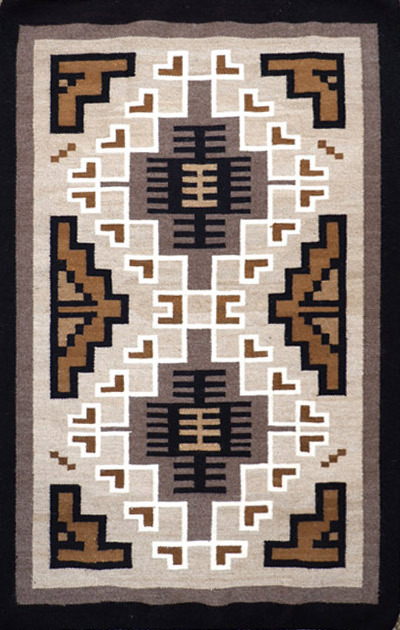 The center of the design is usually one or two elongated, terraced diamonds, surrounded by more geometric motifs, and finished with a dark outside border.